My sister, Ali, has always been a lover of Starbucks. She even worked there for a short stint in high school. 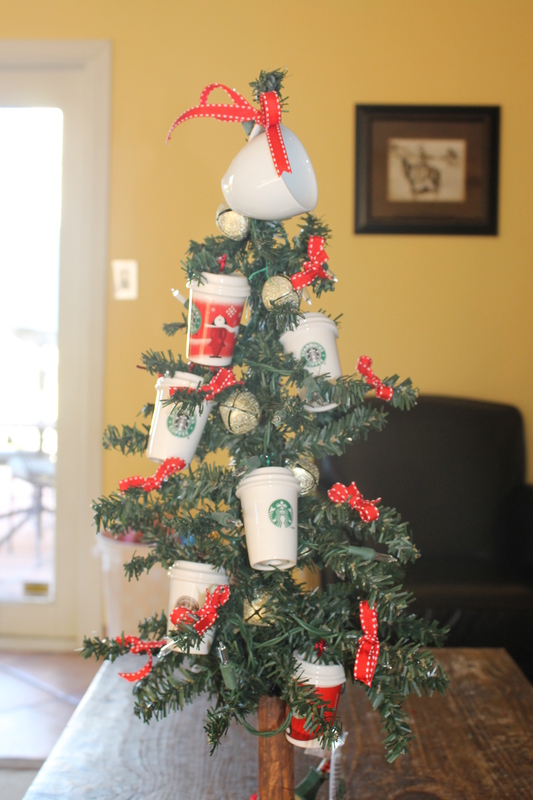 I knew she had been collecting the mini ornaments they sell at the holidays so I asked her to bring all that she had and compiled them all into a tree. I usually pick up a box of three, mini, prelit trees from Michaels in the after Christmas sale. So I had the perfect little 14 inch tree for the project. 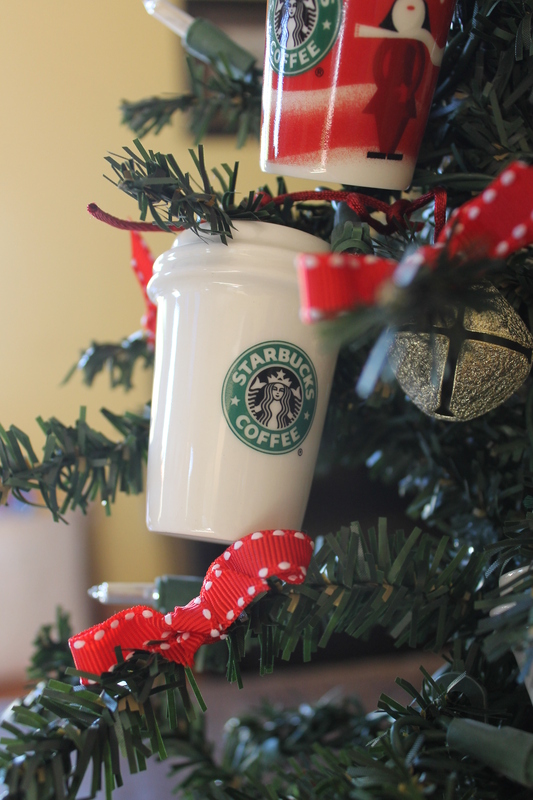 I tied on the ornaments, glued on some bells, tied on pretty ribbon and found the perfect espresso cup as the topper. 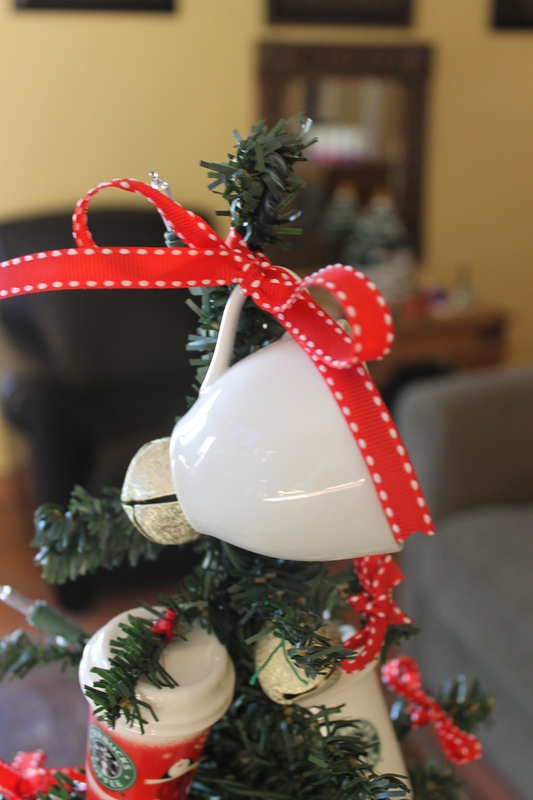 I also found a mini tree skirt at Target – perfect!